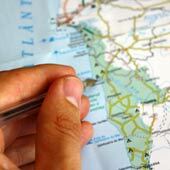 Portugal is considered as one of the best backpacking destinations of Europe. If you’re in the early stages of planning your backpacking adventure, Portugal really should be included. It may not be as famed as other European countries, but Portugal excels with every aspect important to an enjoyable backpacking trip. It’s safe, inexpensive, and has great weather, while the Portuguese are liberal, welcoming and most speak some English. This guide will provide an introduction to Portugal designed for backpackers who considering visiting this wonderful country. Lisbon – The vibrant capital of Portugal; amazing nightlife, active artisan scene, and a fun city to be in. Lisbon is always full of other like minded backpackers and has become a popular destination for digital nomads. 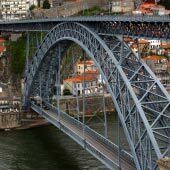 Porto – Historic city, but with a young and social atmosphere, which closely resembles Lisbon before it was “discovered”. Lagos – Beautiful beaches, dramatic scenery and a delightful historic centre. 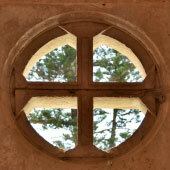 Lagos is the best destination in the Algarve for backpackers. Coimbra – Underrated University city of Portugal; debating students, liberal views, and endless singing of Fado. The Alentejo Coastline (Vila Nova de Milfontes) – Escape the crowds and experience the raw natural beauty of Portugal. Sagres – Exposed, wild and wind blasted surfing destination. Its remote setting and understatedly cool vibe will be adored by some or simply bore others. Albufeira – The party destination of the Algarve; a mixture of sunburnt tourists, drunken stag/hen do’s and screaming children. 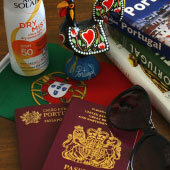 How long for a trip to Portugal? 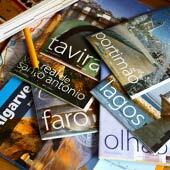 When to go to Portugal for a Backpacking Trip? Portugal is such a great location for backpacking as it is almost a year-round destination. Portugal has hot summers, pleasant spring and autumns, while winters are mild but possibly wet. Spring – Best season to visit Portugal; great weather, cheap flights and accommodation options; ideal for flexible travel plans. Winter – Mild but possibly wet, so stick to the big cities in case it rains. Smaller resort towns close for the winter and will feel very empty. Southern Portugal is dryer and warmer than the north. Beach Weather – The weather is suitable for lounging on the beaches of the Algarve from mid-May until the end of September. I’m travelling alone or as a single female…. Portugal is one of the safest countries in Europe and outside of the big cities crime is virtually unheard of. Even in Lisbon, the only real risk to tourists is from pick-pockets, and these are only ever opportunistic scum. Often the biggest risk to backpackers is the loss of common sense while travelling – if you wouldn’t do it back at home don’t do it in Portugal. 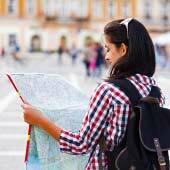 Never go travelling without sufficient travel insurance!